Italian Wolves are a protected breed of Canine in Italy. 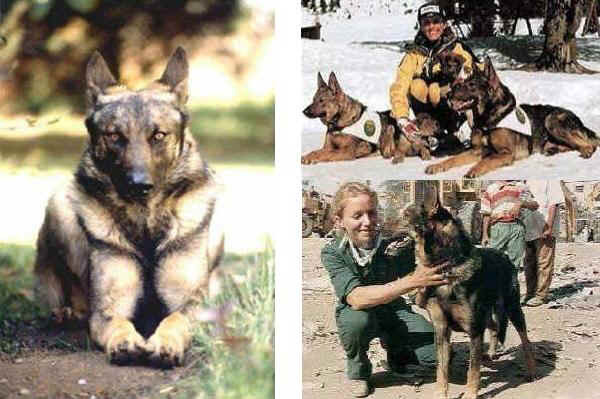 The history of the Italian Wolf begins in 1966 when a puppy from an Alsatian wolf was crossbred with a female wild wolf from Northern Latium Apennines. This puppy, whose mane was Zorro, is to be considered the founder of the Italian wolf. Since then through careful breeding the modern Italian Wolf has been developed. Italian Wolves are extremely lively and endowed with a fierce and independent temperament, they obey commands with firm conviction, never with servility. They are very loving with the people they live with, and are loving in an exclusive way. They are suspicious of strangers and are excellent guard dogs. Forest rangers mainly use Italian Wolves. They are very reliable when they are on patrol; they are distinctly able to rescue people from avalanches, earthquake ruins, and is particularly useful hunting. Italian Wolves are extremely strong and resistant to fatigue, with a high sensory acuteness.